Inca messenger, illustration. These messengers, known as chasqui, relayed oral and quipu messages along the routes of the Inca empire. 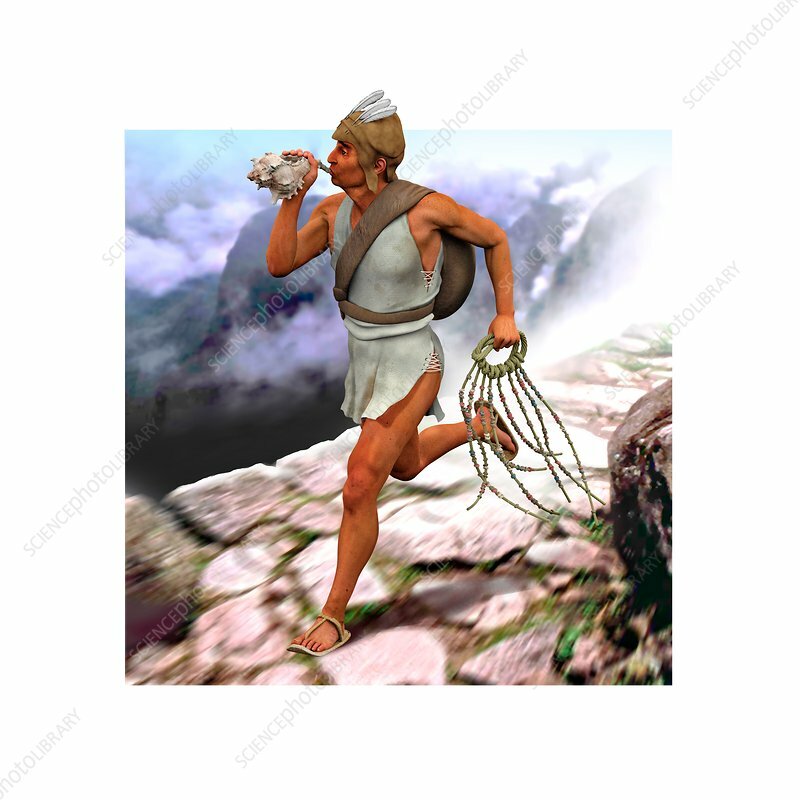 The chasqui carried a pututu (conch shell), used as a trumpet to notify the next runner of their imminent arrival. They also carried a quipu (or khipu), a counting with strings that were knotted to encode numerical information arranged in columns. This messaging system helped the Inca elite rule their vast empire, stretching thousands of kilometres across the Andes. The Incas were a civilisation that inhabited the Andean regions of northern South America. They ruled an extensive empire in the 15th and 16th centuries, which fell to the invading Spanish conquistadors.